Chicago's Rush Street hot spot, Jellyfish, recently started offering weekend brunch and Chicago Foodie Sisters was lucky enough to be invited for a tasting. 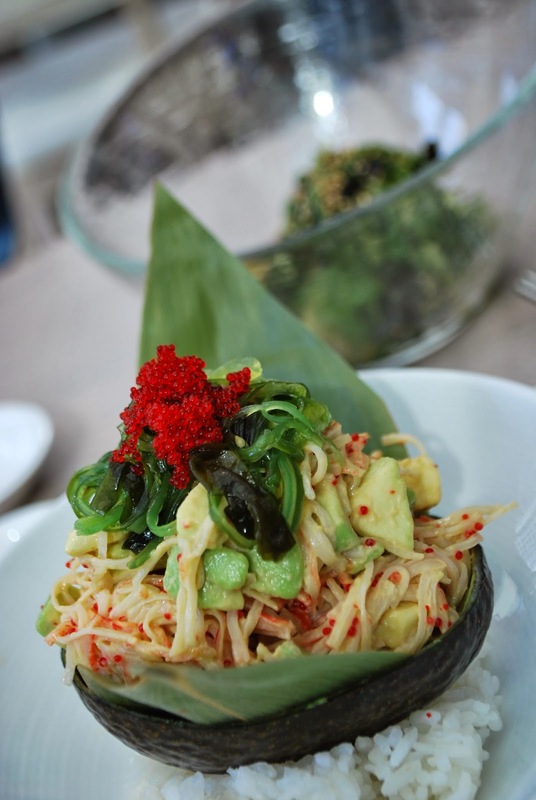 The brunch menu includes a variety of signature cocktails, soups and salads and sharing plates of everything from stuffed french toast to eel benedict to fruit sushi. 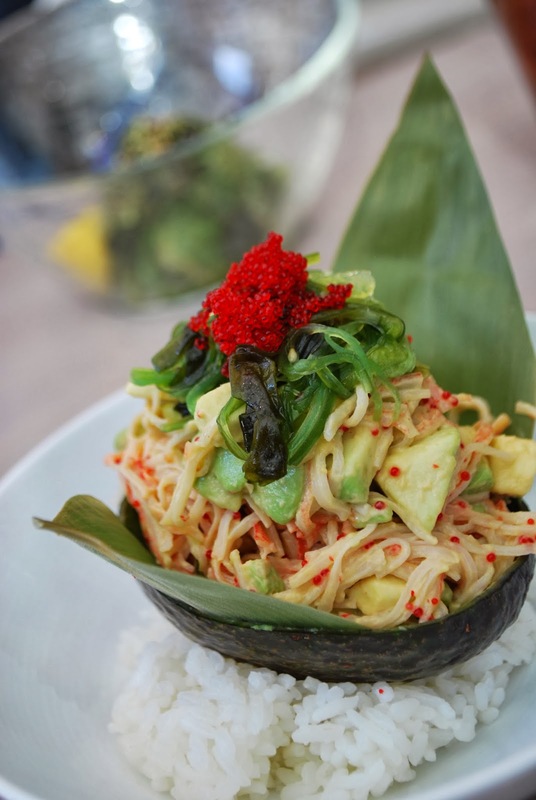 The upscale Pan-Asian restaurant and lounge has been regarded as one of the top sushi places in Chicago and you can also select from a variety of signature, classic and vegetarian rolls. We started out our meal with salads, the Seaweed salad (hibachi, wakame, cucumber with lemon vinaigrette and sesame seeds) and the Chef's Signature Avocado & Crab Salad, which was amazing, featuring shredded crab, avocado chunks, seaweed and red tabico served in an avocado shell with white rice. Additional salad options were a squid & cucumber salad or jellyfish salad and miso soup was available as an additional starter. There were ten sharing plate options at very reasonable prices for this Gold Coast establishment, with soup and salads starting at $4 and sharing plates starting at $6. I decided to get a variety to sample - one beef, one chicken and one shrimp. First we had a Shrimp Tempura Roll, which was undoubtedly the best I've ever had. Of course, the presentation left you not wanting to disturb this culinary work of art. Our next taste was Jellyfish's take on the classic chicken and waffles brunch combo, Crispy Chicken & Green Tea Waffles (marinated double fried Amish chicken, green tea waffles with coconut drizzle.) One bite of the chicken and I was in love. I asked my husband if it would be inappropriate for me to label it as "amazeballs." Inappropriate or not, my taste buds couldn't think of a better adjective. The mild green tea waffles were a great accompaniment with the thick coconut sauce that was almost like icing. The third shared plate that we tried was the "Classic" Wagyu Slider plate, which came with three Mishima ranch grass fed wagyu beef hand formed patties on fresh baked sesame buns with cheddar cheese, lettuce, onion, tomato, spicy garlic aioli and hand cut togarashi fries. Some might be inclined to pass up a dish like this with so many Asian specialties on the menu, but these sliders had a great taste worthy of adding to your assortment of bites and the fries were, well, pretty amazeballs as well. As if this wasn't enough, I added on an order of hushpuppies and I'm glad I did. They had a perfect crunch on the outside with a moist corn-filled interior along with a sticky Szechuan sauce. There's also an extensive cocktail menu of standards and signature cocktails. 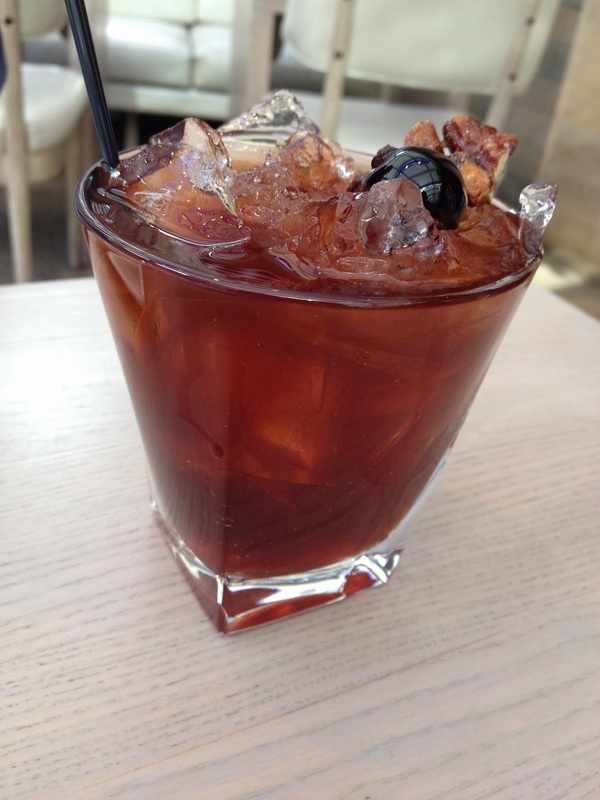 This Black Cherry Old Fashioned was fabulous, using Yamazaki 12-yr. black walnut syrup, cherry liquor, angostura and orange bitters. The eclectic, exotic decor creates an oasis in this second floor Rush Street space directly across from Gibson's and Hugo's. 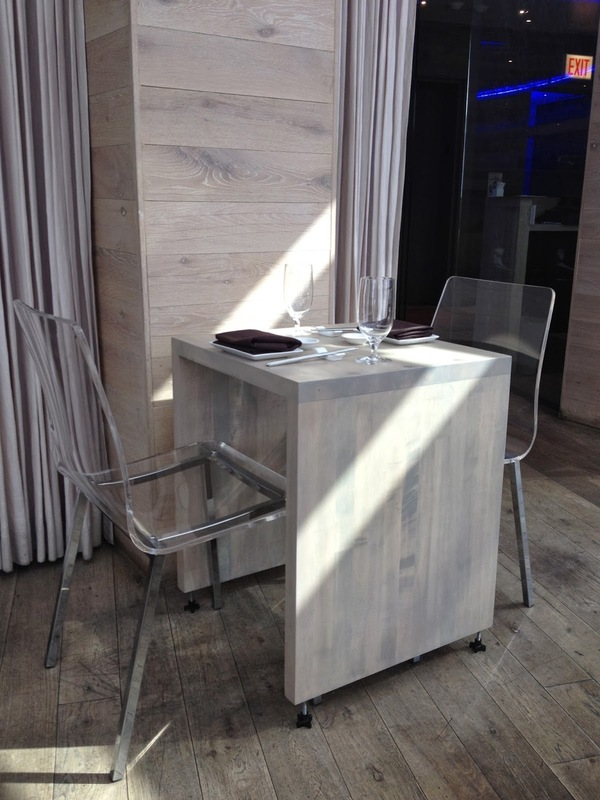 The intimate 95- seat eatery offers an immersion into a different world. Of course, besides weekend brunch they are also open for weekday lunch, dinner daily and late night bites. 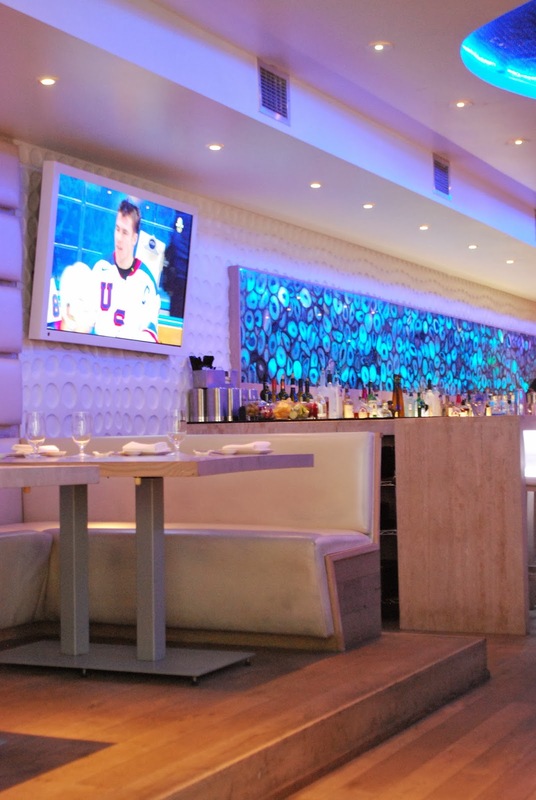 Jellyfish is frequented by celebs including a slough of professional Chicago athletes and actors that have included Mark Wahlberg, Channing Tatum, John Cusak and some of the cast of NBC's Chicago Fire. 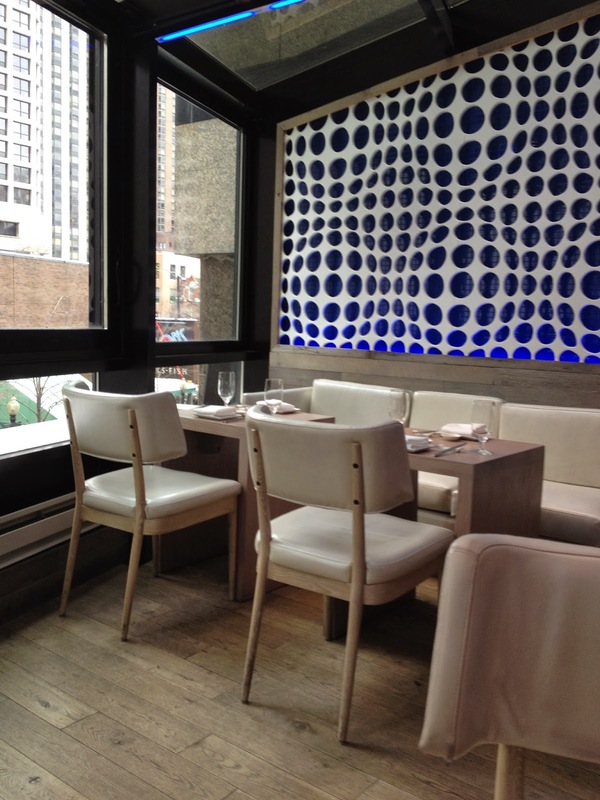 Make reservations online at www.jellyfishchicago.com. *Lunch was provided by Jellyfish. All opinions are my own. Everything looks great and it looks like a nice place for a date! The hush puppies look particularly tasty--I am from New Jersey and we used to have them at the seafood restaurant. I miss that! I will have to put Jellyfish on my list!